Do you know how much we love this invitation? 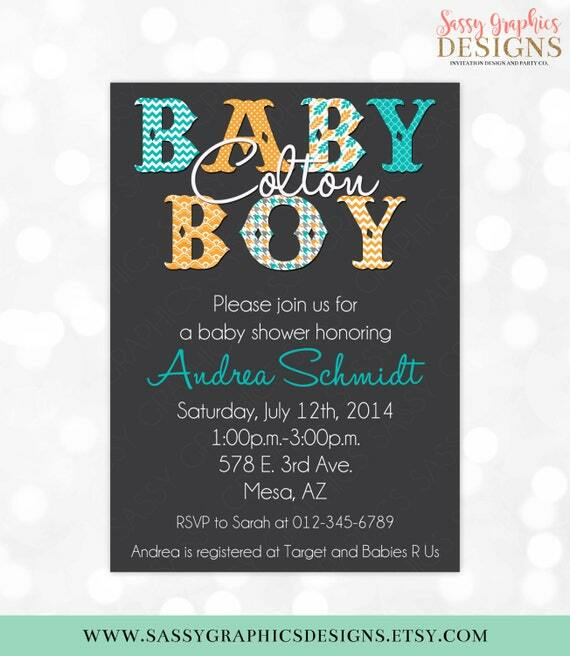 Boy baby shower invitation in the charming “twinkle twinkle little star” theme, adorned with gold and silver glitter stars and accented with shades of mint and blue. * Print wherever you want, as many as you need. *Coordinating backside can be purchased for an addition $3.00. >>After placing your order, please read the confirmation email from Etsy which contains important information regarding your order. A proof will be sent to you via the email address associated with your Etsy account. If you wish this to be sent to a different email, please make note in the comments box at time of checkout. ***Awesome! Best service ever! Very friendly and helpful. Will always use for invites from now on! ***The design was perfect. Color was great and you can't beat the price. ***Loved working with Sassy Graphics Design! So easy to work with. Invitation was perfect! Making life more memorable - one party at a time.